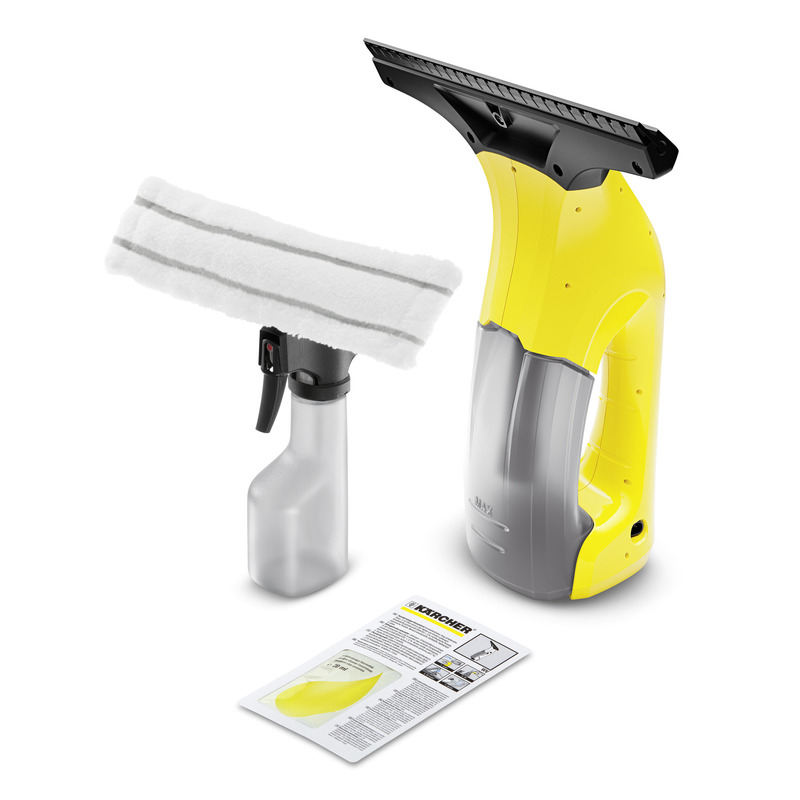 WV 1 Plus 16330140 https://www.kaercher.com/tn/home-garden/cordless-window-vacs/wv-1-plus-16330140.html With the WV 1 Plus Window Vac and the spray bottle with microfibre wiping cloth, you can clean your windows effortlessly and three times faster than before, with streak-free results. The WV 1 Plus Window Vac from Kärcher ensures streak-free, clean windows, and also saves lots of time and effort. The intelligent combination of spray bottle and wiper guarantees extremely effective cleaning. The handy device then has no trouble vacuuming away the water from the window every time you use it – with no dripping dirty water and no streaks. When compared with conventional methods, manual cleaning is noticeably easier and three times faster than before. The convenient battery operation and the compact design guarantee maximum flexibility when cleaning all of your smooth household surfaces. Try it out and see for yourself!